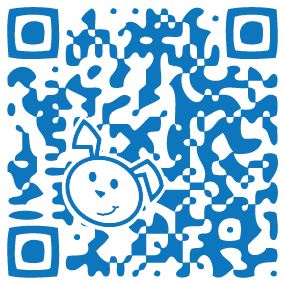 The PetWise app is like having our clinic in your back pocket. 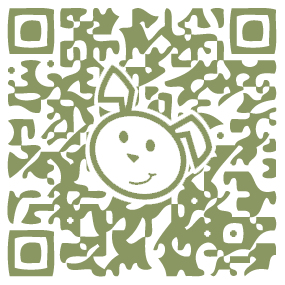 Not only can you view our location and phone number, you can also check all of your pet's medical information while on the go. 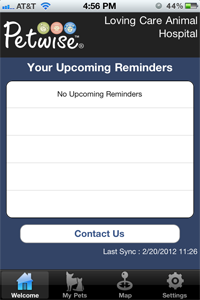 The app is always up-to-date with information straight from the medical records in our system. You can send appointment and boarding requests, ask for prescription refills, or update the picture of your pet. 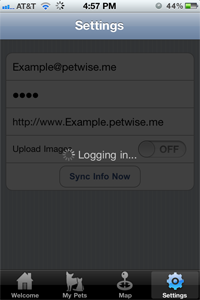 You'll use the same email and password credentials from the PetWise website to synchronize your PetWise app. If you don't have a PetWise account yet, please contact us. Click on the link, or select the settings icon at the bottom right to enter this information. For the password field, enter the password that you received from us in the PetProfile setup email. In the Domain field enter our web address. 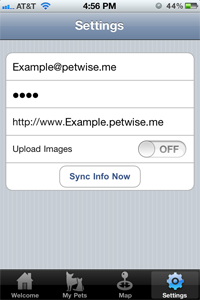 Tap the Sync Info Now button to synchronize the pet information. Remember this step. You will need to be repeated to keep your records up to date. 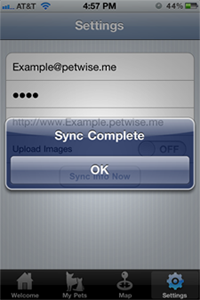 Now you'll be able to enjoy all the benefits of the PetWise App! Don't Have The App? Download It Now!